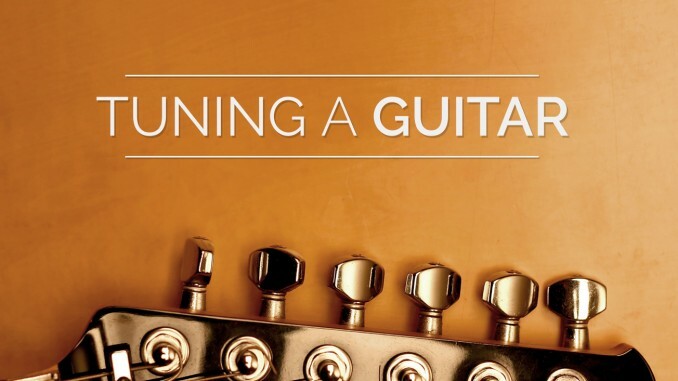 There are many ways to tune a guitar. Even if you have an electronic tuner, which I recommend, you should know how to tune a guitar without one. 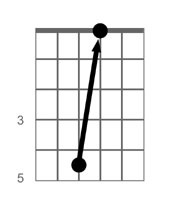 In this lesson, you’ll learn the most common tuning method, the fifth fret method. 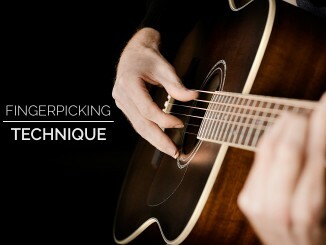 You’ll also learn how to use the same method to tune a 7-string guitar. Lastly, I’ll provide reference pitches so you can tune each string individually. 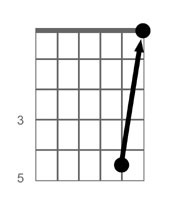 This method assumes a properly tuned 6th string. The remaining notes are tuned based on its pitch. 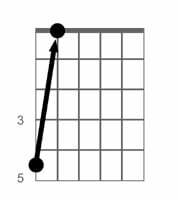 It is called the fifth fret method because you use the 5th fret for tuning all but one string. 1. Fret the fifth fret of the sixth string, the Low E String (pictured). Play the fifth and sixth string. 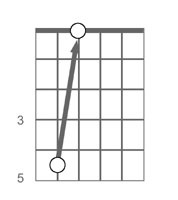 Match the pitch of the fifth string to the pitch of the sixth string. Listen for a beating or pulsating between the two strings. The faster the beating, the more out of tune it is. Adjust the A string until there is virtually no beating. 2. Hold the fifth fret of the fifth string, A string. Play the fourth and fifth string. Match the pitch of the fourth string to the pitch of the fifth string. Similar to step 1, listen for the beating/pulsating sound to tune. 3. Hold the fifth fret of the fourth string, D string. Play the third and fourth string. 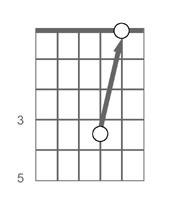 Match the pitch of the third string to the pitch of the fourth string. 4. Hold the fourth fret of the third string, G string. Play the second and third string. Match the pitch of the second string to the pitch of the third string. 5. Hold the fifth fret of the second string, B string. Play the first and second string. Match the pitch of the first string to the pitch of the second string. Seven string guitars add a Low B string. It can be tuned by matching the pitch on the fifth fret of the seventh string to the pitch of the open sixth string. 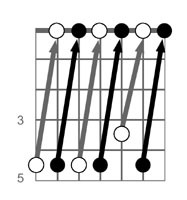 Without a properly tuned 6th string, the fifth fret method will not work. 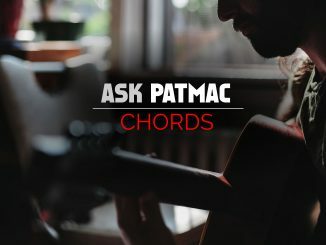 To help you get the proper pitches, I’ve included audio for all the strings including the seventh string. 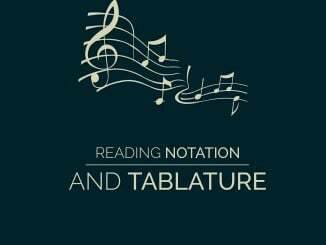 You can also purchase a tuning fork, pitch pipe, or use another instrument to provide a reference pitch. 1 (High E) This audio cannot be played because your browser does not support HTML 5 Audio. 2 (B) This audio cannot be played because your browser does not support HTML 5 Audio. 3 (G) This audio cannot be played because your browser does not support HTML 5 Audio. 4 (D) This audio cannot be played because your browser does not support HTML 5 Audio. 5 (A) This audio cannot be played because your browser does not support HTML 5 Audio. 6 (Low E) This audio cannot be played because your browser does not support HTML 5 Audio. (if applicable) This audio cannot be played because your browser does not support HTML 5 Audio.